Samsung announced on Thursday a competitor to Google Wi-Fi, which is able to cover up to 7,500 square feet and also act as a SmartThings hub. 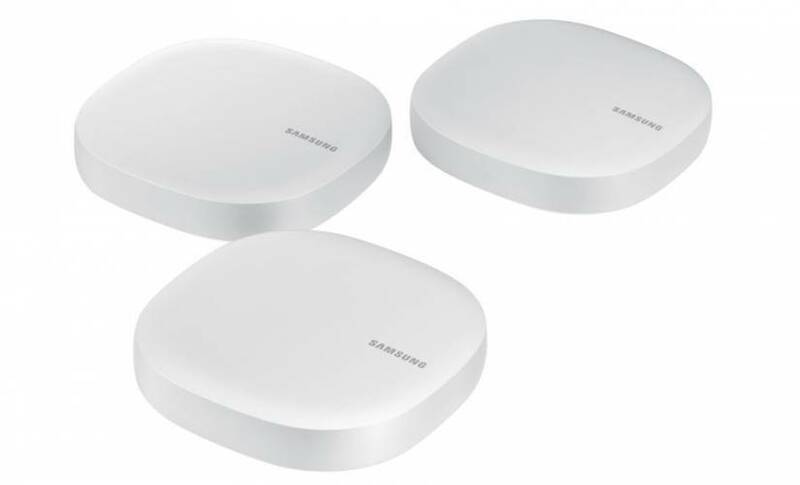 Much like the lauded Google Wi-Fi, the Samsung Connect Home creates a mesh WiFi network that extends the network’s coverage area, similar to a wireless booster. Up to five Connect Home units can be connected to a router, enough for most large homes. Samsung is also launching the Connect Home Pro, which has more processing power and supports 4×4 MU-MIMO 802.11ac Wi-Fi, while the normal unit only supports 2×2 MU-MIMO 802.11ac. The Connect Home is available for pre-order starting at $170 for a single unit or $380 for a pack of three. The Connect Home Pro is available for $250 per unit, Samsung has not announced any bundle plans for the higher-end model. Samsung is making Connect Home a central part of its smart home appliances. It can act as a hub for all compatible Internet of Things (IoT) devices, meaning customers will not have to buy a separate SmartThings hub anymore. Users will be able to control smart home devices through the Connect app. Samsung is planning to add support for their personal assistant, Bixby, so users will be able to tell their phone to change device settings. The Connect Home has built-in support for Zigbee and Z-Wave standards. That makes it compatible with most smart home devices, including Philips Hue LED lights, Nest smoke detector, and Ring video doorbell. As we start to add more connected devices to our homes, mesh Wi-Fi networks will become all the more necessary to avoid connectivity issues. This is already a problem in homes that have more than four people online at once, with video calls, video streaming, and downloading all hogging the network bandwidth.